UV stabliized medium density polyethylene. Wall thickness 8mm, (5/16"). 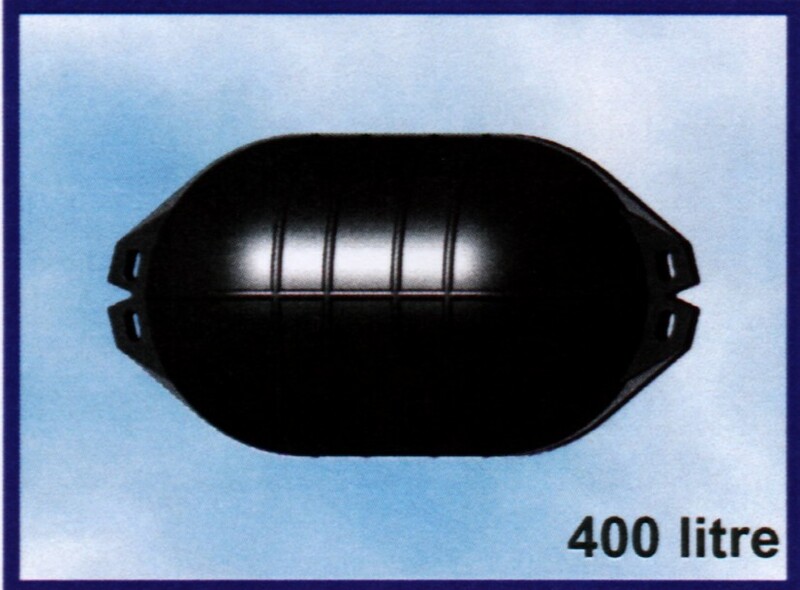 Buoyancy, 200 litre, (600kg), 300 litre, (900kg), 400 litre, (1200kg). Longline rope is attached at each end using the "V" attachment points to the desired longline length. Unique double long line "V" points allowing simple float attachment factory fitted valve and pressurized to one atmosphere giving resistance to pressure if submerged.